NO HOT WATER? NEED A HOT WATER CYLINDER INSTALLED, REPAIRED OR REPLACED? While a lack of hot water isn’t exactly an emergency in most situations, it’s still generally a very frustrating experience, and one that you can’t tolerate for very long. There’s nothing like a hot shower to help you wake up in the morning, or a long hot bath at the end of the day to relax your body. And there’s also nothing quite as bad as having to take cold showers just to maintain a decent level of personal hygiene! Hot Water Cylinders are generally the most common things that cause issues with your hot water. If that’s the case, you’re probably thinking it’s time to replace your Hot Water Cylinder. But what are your options? Do you search for someone in Wellington who does Hot Water Cylinder repairs, or do you look for someone who can offer you a Hot Water Cylinder replacement? 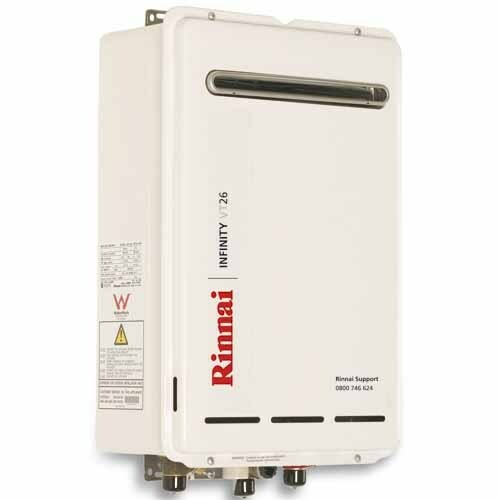 If your Hot Water Cylinder is broken, the best option is to replace it with a gas hot water system, such as a Rinnai Infinity installation. The benefit of installing a Rinnai Gas Infinity is the instant hot water that comes from your taps and shower at any time… No more waiting, and no more cold water. Even better, no more running out of hot water with a Rinnai Gas Infinity! Call Maxey Plumbing & Gas, your Plumber Wellington experts, for a quality hot water cylinder replacement and Rinnai Gas Infinity installation. We’ve been repairing Hot Water Cylinders and installing Gas Infinity Hot Water Systems in Wellington for years, and will always make sure the repair or replacement project is completed to your complete satisfaction. ​Give us a call on 04 390 0135 or email us at office@maxeyplumbing.co.nz for a free quote for your Hot Water Cylinder Replacement and Gas Hot Water Installation! Contact us today for a free quote for your Hot Water Cylinder Replacement and Gas Hot Water Installation!